"Ask The Passengers" won the 2012 Los Angeles Times' Book Prize for best Young Adult novel. Add your review in comments! lee, i loved this book. 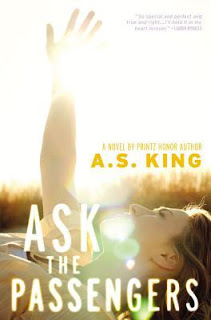 "Ask the Passengers A. S. King. Great book centered around a girl who is confused about her sexuality. It ends up being really cute."